You too can benefit from a quality maintenance and compliance programme. Fully functioning and ongoing compliant installations give you peace of mind, allowing you to concentrate on what you do best. Our unrivaled experience, dedication and commitment to successfully managing electrical installations safely, efficiently and professionally has proven invaluable to all our clients. We offer planned programmes to maximise consistency with decisive action for those unplanned events. Regular maintenance checks and continued technical support will ensure all components of your system are kept in optimum working condition and continue to operate correctly when needed in an emergency. Our engineers carry out servicing in a safe, discreet manner, minimising the downtime to your equipment while providing a high quality of engineering support and customer service. Annual visits to ensure correct functionality in accordance to BS 5266-1:2011 (Emergency Lighting). Annual routine inspection for breakages, wear/deterioration, signs of overheating, missing parts (covers/screws), switchgear accessibility, doors of enclosures, loose fixings, water ingress. Annual routine operation check of switchgear equipment, isolators, MCB’s and RCD’s to ensure they are working correctly. Your choice of times for scheduling of servicing. Access to our 24-hour technical phone support line. Access to an engineer if required on site within 6 hours. With our knowledge and expertise we ensure that any installation with our name on it reaches all recommended standards. We understand the importance of industry standards so that you don’t have to. BS5266 is an industry standard for the design, installation and wiring of electrical emergency escape lighting systems to make sure that, in the case of an emergency where normal lighting fails, a premises has the lighting performance needed for the safe movement of people within that premises. This industry standard promotes a deeper insight in to the different types of emergency lighting systems and the correct application within different categories of building and environment. But you don’t need to know that. Our clients can be safe in the knowledge that we are always up to date on any new, amendments, additions or adaptions to industry standards set and ensure all our installations meet them. Are you complying with the terms of your insurance policy and the requirements or legislation of the Health and Safety Executive? We carry out all aspects of electrical safety testing in premises such as small domestic dwellings to commercial/industrial units to complete educational campuses. Whether it is an Electrical Installation Condition Report (EICR), Portable Appliance Testing (PAT), Thermal Imaging Surveys or Emergency Lighting, our electrical experts can help determine what tests you require and when. By having the necessary inspections at the appropriate intervals you can be assured that your installation maintains the records and test results required. All tests are carried out in accordance with current British Standards and in a manner that fully complies with the Electricity at Work Regulations 1989. Particular reference is made on safety, corrosion, wear and tear, age, excessive loading, damage and deterioration. All electrical installations must be tested to verify that they pose no risk to a building or the people within it. Our electricians have the appropriate qualifications to ensure that your installation undergoes the necessary visual and electrical inspections and tests required to identify any potential problems and resolve any issues that may arise. The EICR will identify any damaged components and ensure an installation is positioned correctly as well as testing for any electrical supply faults. We provide the assurance that your installation is both safe and compliant. Reliable safety systems installed and maintained. Powercor offers maintenance expertise and quality to maximise the operational efficiency of your Life Safety System. Our dedicated service team are professional and approachable people who understand the importance of doing the job efficiently and without disruption to our clients. 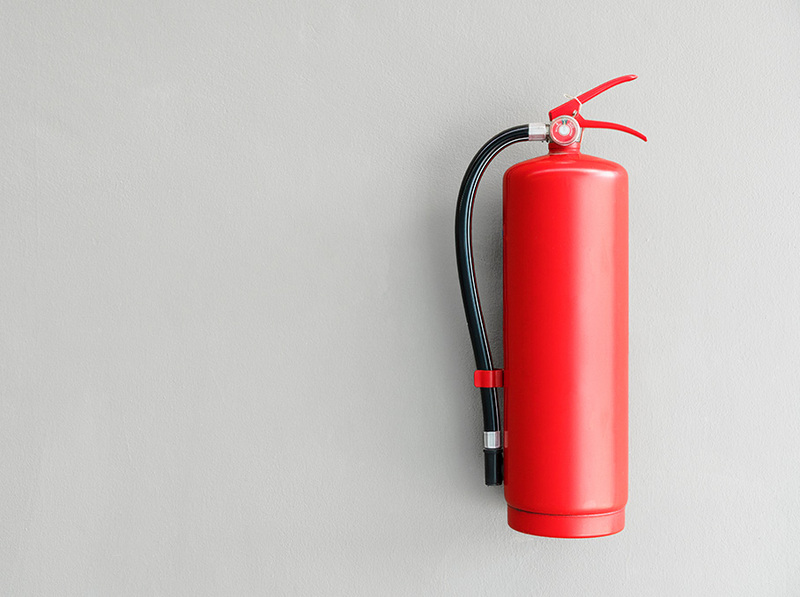 We professionally install and maintain fire and emergency lighting safety systems including fire extinguishers and fire suppression systems throughout the UK, offering a proven maintenance schedule that can predict and avoid failure whilst minimising unforeseen cost. Our approach allows you to choose from a selection of tailored maintenance contracts so that you only pay for what you need and with regular maintenance checks we can ensure your system continues to operate correctly if needed in an emergency. Regular testing of electrical appliances is an essential part of good health and safety practices, ensuring that all electrical equipment is correctly maintained. 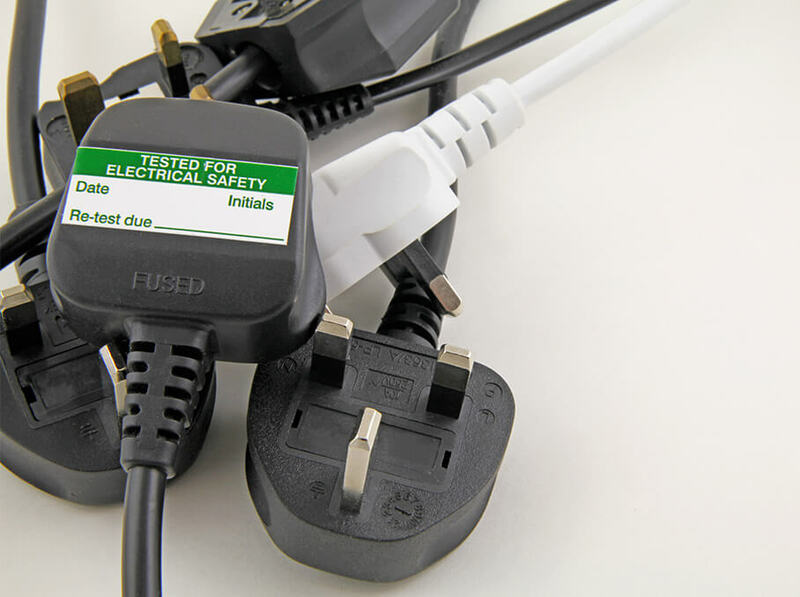 We will test all portable appliances within premises in accordance with current British Standards to give you the peace of mind that all your electrical equipment is safe to use and that you are compliant with any conditions of your insurance which may require PAT tests to be undertaken as a condition of cover.